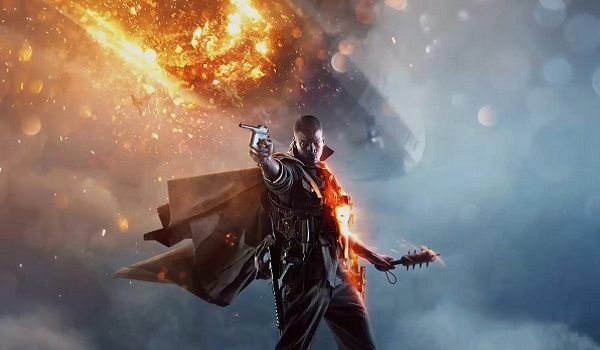 As I'm sure you are aware, the Battlefield 1 beta has been released publicly the last few days on PC, Xbox and PlayStation. I have already spent a considerable amount of time playing the game and have done so since the moment it was made public on the Xbox One console, I do enjoy the game very much so, even with the slight trouble they had with the servers. Although there is only one map (Sinai Desert) and two game modes (Conquest & Rush), I still find it rather fun with every game I enter, I will admit though it can get very repetitive. I have used all the classes, including various weapons, each unique and different to the last. Vehicles do have slight variety as well, If you're not riding a horse handling a sword or rifle, you have options to take a tank and plane to the battlefield, each tend to have separate variants, however you will also find other vehicles lying around such as trucks with mounted turrets. Instead of having time to open doors, why not barge through them. Not ready for up close combat? Hide in the rocky mountains and increase the body count. My personal favorite, storming the ground in a heavy tank, destroying enemies as they try to fly for cover. Have you had the chance to play the game so far? what are your thoughts? I would guess they'll release more maps and styles as the game progresses but I must admit it shows great promise so far.